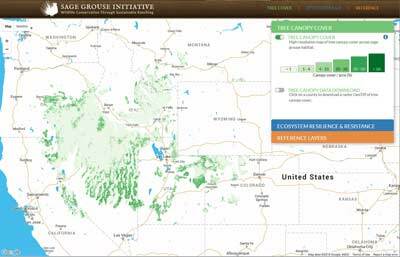 Dovetail Partners, Inc. has created an interactive map of organizations that provide resources, information, and assistance for people interested in planting trees. Each organization offers opportunities to get involved, whether it’s planting trees or making donations for trees and seeds. Click here. It’s no secret that planting a tree is one of the best actions that you can take to improve and protect the environment. What you may not know, however, is that there are already hundreds of programs and efforts dedicated towards planting trees. By planting trees, we can improve air quality, harbor wildlife, and reduce carbon emissions that affect our climate. This Strategy outlines the critical need to develop the associations among local, state, provincial, tribal, and federal agencies, non-governmental organizations, and individual citizens to design and implement cooperative actions to support robust populations of sage-grouse and the landscapes and habitats upon which they depend. Guide provides an approved design for wildlife escape ladders in watering facilities. Landowners share their experiences of managing for bird species and other wildlife values on their lands throughout the West, including ponderosa pine, the Oregon outback and forests of the Pacific Northwest. A management guide for landowners. From The Heinz Center, this 2008 lengthy publication is targeted to land managers who practice adaptive management. CDFW Accepting Proposals for Fire Recovery, Salmon Resiliency and other Restoration Projects for Proposition 1 Restoration Grant Programs CDFW News The California Department of Fish and Wildlife (CDFW) is now accepting proposals for ecosystem restoration projects under its Proposition 1 Grant Programs.